The much famed comic actor, Martin Hayter Short was born on March 26, 1950 in Hamilton, Ontario, to Olive Grace and Charles Patrick Short. 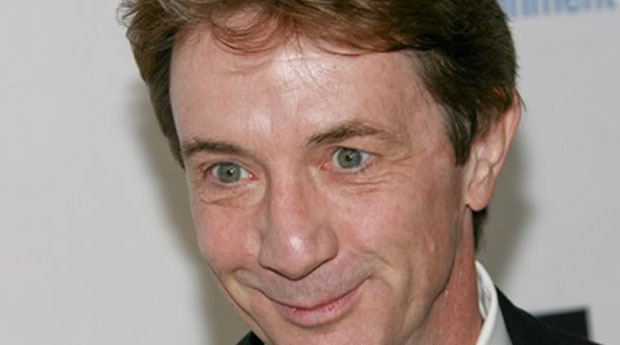 Martin Short was encouraged by his mother to pursue his creative ambitions from a very young age. However after graduating from McMaster University, Short wanted to make use of his Social Work degree. That changed when he got offered to be in the show, “Godspell” in 1971. Following that Short has appeared in numerous plays and television shows, mostly in Canada. In 1979, Short finally made it in the US with the drama, “The Associates” playing one of the lawyers working in Wall Street, however it was cancelled only after a year in 1980. He was offered another role in, “I’m a Big Girl Now” the same year, but unfortunately the show proved to be rather unsuccessful. His big break finally came when he was persuaded to appear in the famous comedy show, “Second City Television” in 1982. Short gained recognition amongst his fans with impersonating characters such as, Ed Grimley, Irving Cohen and Jackie Rogers. By 1984, Short had already made a name for himself as a talented comic artist and he soon switched to “Saturday Night Live” and it was partly due to Short’s effort that the show was revived back to its former glory after Eddie Murphy’s departure. Some of his much renowned character impersonation at SNL included that of Nathan Thurm as well as mimicry of celebrities such as Katharine Hepburn and Jerry Lewis. Apart from his comedy sketches, Short was regularly appearing on televisions in shows like, “Martin Short: Concert for the North Americas” in 1985, “The Martin Short Show” in 1994 and “The Show Formerly Known as the Martin Short Show” in 1995. In 2001, he was offered a role in, “Primetime Glick” as Jiminy Glick in which he had to interview celebrities as Jiminy. Apart from his work in comedy sketches, he also appeared as a guest star in shows like, “Arrested Development” in 2005, “Muppets Tonight” in 1996 and “Law & Order: Special Victims Unit”. After doing mostly comic sketches, Short decided to try his hand in movies and was subsequently offered to appear in “¡Three Amigos!” in 1986 opposite to Steve Martin and Chevy Chase. He garnered substantial success with the movie, “Innerspace” in 1987 and also appeared as a supporting role in the movie, “Father of the Bride”. Although his work was appreciated with his fans, he never made a big name as a lead actor. In 1993, Short made the transition to Broadway and appeared in, “The Goodbye Girl” which earned him a nomination at the Tony Awards. Following in 1999, Short went back to Broadway in the musical, “Little Me” which was a phenomenal success with both critics and the audiences and he won the Tony Award for “Best Actor”. In 2006-2007, Short reintroduced one of his characters as Jiminy Glick to Broadway in the show, “Martin Short: Fame Becomes Me”. Some of his recent works include a comic television show in 2011, titled “I, Martin Short, Goes Home” for which Short earned a nomination for “Best Actor in Comedy Program” at the Canadian Screen Awards. He was also asked to appear in, “How I Met Your Mother” in its seventh season in 2011 and became one of the judges in “Canada’s Got Talent” in 2012. Following in 2014, he accepted the role in the show, “Mulaney”. In his personal life, he was married to Nancy Dolman who passed away in 2010 after fighting ovarian cancer. He currently lives with his three children in California.